To drive from Merida to Chiquila, take the 180 towards Cancun (via Kantunil 180D). Stay on this road, passing Valladolid and continue on until you reach El Ideal. 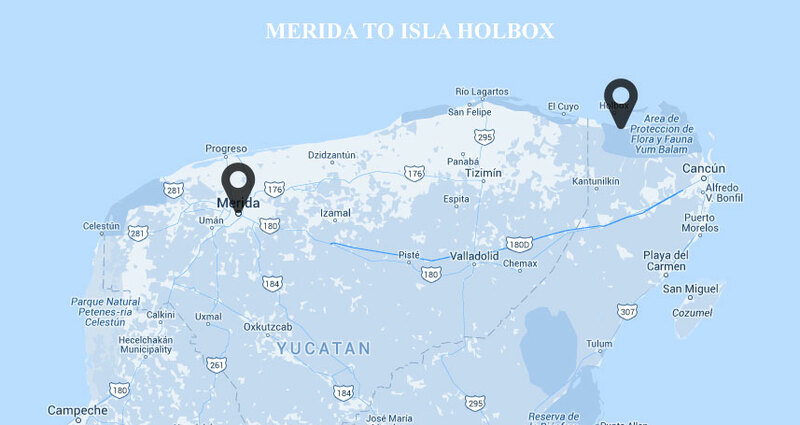 Here you will take the QROO5 following the signs to Holbox and Chiquila. The Oriente bus to Chiquila leaves from Merida’s TAME bus station (Calle 69 between 68 and 70) daily at 10.30pm. The journey takes between 5-6 hours. To return to Merida the Oriente bus leaves at 5.30am daily.